Sons of legendary Filipino athletes took strides in following the illustrious careers of their parents in the 2011 Batang Pinoy National Finals in Naga City. Jamil Joseph Sebastian, son of the late Jaime Sebastian, led Zamboanga’s onslaught in weightlifting while brothers Rafael and Robert Jalnaiz from Misamis Oriental, children of two-time Olympian Roberto Jalnaiz stepped closer to a gold medal after overcoming separate rivals in the boxing competitions Tuesday. Sebastian claimed the 44kg. weight category joining Elbert Atilano (46kg), Joseph Dinglasan (56kg), Rosanno Mendoza (40kg), John Kyle Macrohon (56kg), Patricia Ann Gregorio (48kg) and Lyann Pineda in Zamboanga’s assault in weightlifting. Rafael, 12, beat Mark Lloyd Buban of Laguna in the minimumweight division semifinal. Not to be outdone is Robert as he advanced to the paperweight class finals against Samuel Lontayao of Manila. Rafael and Roberto are heavy favorites to win the gold after their conquest in the Amateur Boxing Association of the Philippines junior championship. Aboitiz and Daniel Maamo (light paperweight) and Fresco Carcosa (flyweight) also made it to the finals for Misamis Oriental. Tayabas, meanwhile, is also right in the mix with EJ Nares (minimumweight), Rammel Openera (light paperweight) and Jessie Diaz (light flyweight) all through in the finals. In other events, John Edgard Reyes and Joela De Vera captured the boys and girls singles titles in badminton while Gerald Sagaad and Dexter Opalla and Paola Beatriz Bernardo and Ingrid Obnial took the boys doubles and girls doubles gold. Baguio dominated the wrestling event with eight gold medals with Zamboanga in close second with seven. The Batang Pinoy national finals is organized by Philippine Sports Commission with major backers SMART, Maynilad and Summit Mineral Drinking Water with other sponsors Standard Insurance, MILO, Jollibee, Negros Navigation, RELIV Now for Kids, Growee Multivitamins and the British Council. 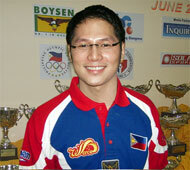 Riding on the momentum of his solid performance in the last stage of the qualifying round, Biboy Rivera brought his A-game in the quarterfinal round of the 2011 Bowling World Cup at the Northcliff Bowling Centre in Johannesburg, South Africa on Monday (Tuesday morning Manila). Rivera vaulted his way to sixth spot in the last day of the qualifying stage after being relegated to the 13th spot on Saturday, and the reigning Asian Games gold medalist played his best game in the tournament at the beginning of the quarterfinals by completing his first perfect game in one of the eight blocks played. The 37-year-old veteran kegler now has a total of 6500 points, which put him in seventh spot, enough for him to make the last eight. From the last eight on Tuesday, competitors will be reduced to the last three, who will go on to the step-ladder finals. Rivera’s female counterpart, Liza del Rosario, also had no problems making the last eight cut. With another steady game, the Filipina bowler, who was a part of the trio that won the gold medal for the Philippines in the 2003 World Tenpin Bowling Championship, stayed in sixth spot in the opening eight-block matches of the quarterfinal round. She has now garnered 6094 pinfalls. 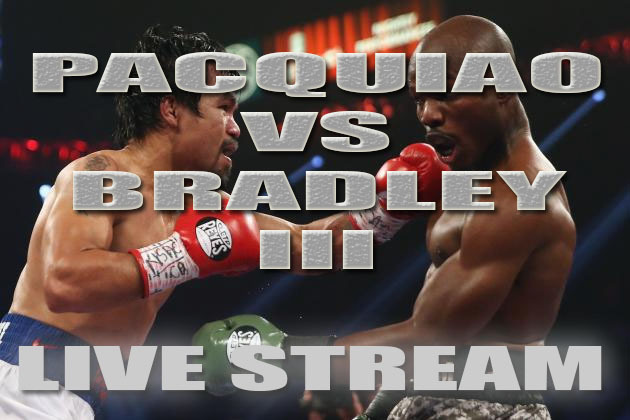 But the Filipinos will have a lot of catching up to do just to secure one of the berths in the top three. Del Rosario is less than 150 points behind third placer Cherie Shie Hua Tan of Singapore, who has a total of 6242. Two other players have better scores than Del Rosario: Sandra Andersson of Sweden (6199) and Krista Pollanen of Finland (6158). Defending champion Aumi Guerra of the Dominican Republic continued to pull away with 6748 and fortified her bid of a back-to-back titles while running second is Diandra Asbaty of the United States (6408). Like Del Rosario, Rivera needs to catch up. Players occupying fourth to sixth places -– No. 4 Kimmo Lethonen of Finland (6534), No. 5 Lucas Legnani of Argentina (6534) and Matts Maggi of Belgium (6520) –- leading Rivera by less than 35 points. The Filipino trails third-placer Mykhaylo Kalika of Ukraine by less than 200 points. The European player has 6681. The NCAA vowed to finish its investigation of last week’s incident between San Beda College and San Sebastian College within the next two weeks. 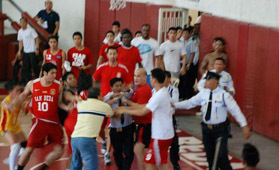 The NCAA was dealt with a big blow after a melee involving San Sebastian women’s volleyball coach Roger Gorayeb and the San Beda men’s basketball team broke out during its volleyball tournament at the San Beda gym last December 2. Gorayeb incurred a swollen eye and bruises in his body while San Sebastian libero Mae Crisostomo also received a wayward hit during the incident. “We are saddened by this development. The NCAA is celebrating its 87th season this year. We have problems in the past but we survived it. With God’s grace we will overcome this one,” the statement added. Cercado also said that they will also investigate the bench-clearing melee that broke out during a PCCL match between San Sebastian and San Beda last Monday. Days removed from the melee in San Beda, eight players were ejected after Calvin Abueva and Kyle Pascual were involved in a fracas with 2:10 remaining in the game. “Unfortunately, we have to investigate it because it involves NCAA teams. But we will have to wait for the full report from PCCL executive director Joe Lipa before we can act on it,” Cercado said. Filipino players competing in the bowling World Cup experienced mixed fortunes on the third day of competition Saturday night at the Northcliff Bowling Centre in Johannesburg, South Africa. Liza Clutario stayed in the top four of the women’s event when she bowled 1071 pinfalls in the third of the five-game matches in the qualifying round for a total of 3324. A member of the Filipina trio that won the title in the 2003 World Tenpin Bowling Championship in Kuala Lumpur, Clutario needs one more solid game to advance to the last 24 and make the quarterfinal round. Defending champion Aumi Guerra of the Dominican Republic continued to show her deadly form and pulled away from the pack with a near 300-point lead over closest pursuer Diandra Asbaty of the United States. After three days of competition, the back-to-back seeking Guerra rolled a total of 3721 pinfalls, including the day’s highest output of 280 in one game. She averages 248.07 pinfalls per game. Asbaty came in second with 3422 pinfalls followed by Singapore’s Cherie Shi Hua Tan, who had a three-day aggregate of 3417. But Pinoy kegler Biboy Rivera was a big disappointment in the men’s event during the third day. From No. 5 at the end of the second day, the reigning Asian Games gold medalist dropped to No. 13 following a 1016 performance on day three. It was the lowest output for Rivera, last year’s third placer in this event, who also struggled in the single’s event of the Southeast Asian Games in Jakarta. He now has a total of 3375, but needs to avoid another bad game to make the last 24 going into the quarterfinals. Jason Belmonte of Australia continued his sizzling show in the competition, rolling his third perfect game on the third day. His third 300-performance in one of the games in the regulated five-block matches hiked his total to 3755 pinfalls. But veteran campaigner Tommy Jones of the United States is slowly catching up. After bowing another perfect game in one of the blocks, Jones fortified his hold of second spot and just 54 points behind the leader. 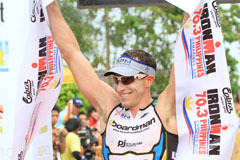 Cebu will be hosting the country’s top triathlon event, the 2012 Cobra Ironman 70.3 on August 5, 2012, at the Shangri-La Mactan Island Resort and Spa in Lapu-Lapu City. Sunrise events, Inc. general manager Princess Galura said the World Triathlon Corporation (WTC) told them to look for another venue because WTC wanted the 1.2-mile swim on an open sea instead of a manmade lake like in Camarines Sur, which hosted the early editions of the Cobra 70.3. “Cebu also has the logistics like the hotels and an international airport. Everything needed by our foreign and local participants is there,” Galura said. Registration for the 2012 edition started at noon on December 1 and almost 400 have already signed up. The group will limit the number to 1,500 to ensure the safety of the participants. ”We want each participant to have the same experience as the others because we are limiting our number for their safety,’ Galura said. She said they were also convinced to hold the event in Cebu because of the support the Cebu Province under Gov. Gwen Garcia has shown. ”If the 2012 Cobra Ironman 70.3 will run smoothly next year, we are planning to have it in Cebu in 2013 and 2014,” Galura said. Noy Jopson, who topped his age group in the 2011 70.3 Ironman and was able to qualify for the Ford World Championships in Kona Hawaii, said the news is a welcome development. ”It is only right to bring Ironman here in Cebu because we also have great and solid support from our local government,” said Jopson, who has already signed up for the 35-39 age group. He added that this is an advantage for the participants from the Visayas and Mindanao because Cebu is located strategically. Foreign participants also won’t have to go through all the trip by land because the international airport is just a few minutes away from the venue. ”Here in Cebu, once the participants reach the international airport, they will be arriving in the venue in less than 30 minutes,” Jopsons aid. Rochelle Cruz Tan, who is also a Kona qualifier, was so excited about the news and is expecting it to be one of the biggest events to hit Cebu since triathlon community started to gain momentum. Lorhiz Echavez-Mendel, also a Kona qualifier who is pregnant, said she is set to give birth in March. ”This will be a big chance for Cebuanos to be able to compete in the Ironman,” Echavez-Mendel said. 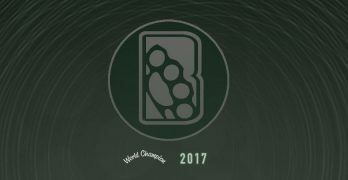 Biboy Rivera remained in the top five even as Jason Belmonte of Australia put on a sizzling show capped by another perfect game in one of five matches to stay atop the leaderboard after two days of competition at the World Cup at the Northcliff Bowling Centre in Johannesburg, South Africa Friday (Saturday morning in Manila). After scoring an 1180 in the first day, Rivera remained steady the following day, as he compiled 1179 pin falls for a two-day aggregate of 2359 to remain in fifth spot. The Filipino kegler is hoping to make the last-24, which will enable him to join the quarterfinal round. He is also seeking to join the elite company of four-time champion Paeng Nepomuceno, Christian Jan Suarez, Bong Coo and Lita dela Rosa as the only players from the Philippines to win the World Cup. Last year, Rivera, a reigning Asian Games gold medalist, finished third behind Michael Schmidt of Canada and Matt Miller of England. In the first two days of the tournament, it has been the unorthodox Aussie bowler, who uses both hands each time he bowls, putting a show. Belmonte, who also rolled a perfect game in one of the first five matches in the first day, pulled away with 2535 points going into the final two days of the qualifying stage of the event. Tommy Jones also had a perfect game in one of the matches on Friday night to climb up from fourth to second spot after compiling a total of 2455 points at the end of the second day. Kimmo Lehtonen of Finland (2395) and local bet Francis Louw (2370) occupied the third and fourth spots, respectively. In the women’s division, Liza Clutario of the Philippines fell a notch lower, dropping from third to fourth place at the end of the second day of competition of the regulated five-game match. She has 2253 points. Despite improving her output in the second day, Clutario couldn’t surpass the blistering show of defending champion Aumi Guerra and co.
Guerra, the reigning champion, has taken the lead after previous leader Mercedes de la Losa of Argentina faltered on the second day. Guerra, the Dominican Republic’s best bet in the sport has now a total of 2417 while Cherie Shi Hua Tan of Singapore moved up to second place with a 2290 output. Diandra Asbaty of the United States jumped to third place with a two-day aggregate of 2256. 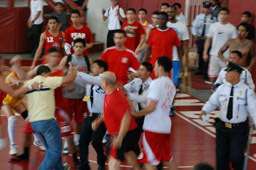 It was a dark Friday in the NCAA after a fight broke out between the San Sebastian volleyball team and the San Beda men’s basketball team while the volleyball competitions were going on at the St. Placid Gym inside the San Beda College campus. San Sebastian women’s volleyball coach Roger Gorayeb got the raw end of the deal, suffering a swollen left eye after receiving a punch during the melee. The San Sebastian men’s volleyball team were in the adjacent gym to warm up for their match. The San Beda Red Lions were also at the same gym holding their practice there. According to one report, the Stags were chanting “Oh hey oh hey,” a common chant done by volleyball players during warm-ups. But another report suggested that the chants were “unggoy” — a racial slur toward San Beda’s Nigerian center Ole Adeogun. The altercation started after that and it spilled over to the court area where a women’s volleyball game between University of Perpetual Help System Dalta and San Sebastian College was going on. Gorayeb said that he was trying to pacify the situation when Red Lions center Dave Marcelo and head coach Frankie Lim directed cuss words at him. “Minura niya ako kaya minura ko rin siya. Sinugod ako at sinuntok ako sa mukha. Bumagsak ako at pinagtatadyakan na ako,” said Gorayeb. The multi-titled Gorayeb added that his players were not spared, as their libero Mae Crisostomo was hit in the left eye. Gorayeb said that he will file a case against Lim for serious physical injury after he secures a medical certificate. Lim’s wife Olen and daughter Miakka came to the defense of the Red Lions after the incident. San Sebastian NCAA management committee representative Frank Gusi said that the Mancom will hold an emergency meeting to discuss the issue. The incident was reportedly captured in the CCTV camera inside the gym. San Beda Red Lion Garvo Lanete, in his Twitter account, said that he wants the video to be released to avoid any misconceptions about the incident. “Andito yung video, sana nga ma-release para makita na walang sumuntok sa babae na may blackeye, umawat lang siya at accidentally natamaan,” Lanete wrote on his account. Quezon City reigned supreme in the swimming competitions of the National Capital Region qualifying leg of the 2011 Batang Pinoy after annexing six out of the eight gold medals at stake Thursday at the Makati Aquatics Center. Alberto Batungbakal and Baron Ong led Quezon City’s charge scooping two gold medals each in the penultimate day of the qualifiers. The 14-year-old Batungbakal romped to his first gold in the boys 200m individual medley with a clocking of two minutes, 27.37 seconds before scooping the mint in the 50m breaststroke with a time of 34.37. Ong, 13, followed suit winning the boys 200m individual medley in his age bracket with a time of 2:39.57. He made it a double gold by registering a time of 1:02.77 in the 100m freestyle. The Quezon City tankers swept the boys 200m freestyle relay with a time of 2:19.12 and 2:32.40 respectively. Manila’s Christine Mendoza and Claire Galang prevented a Quezon City sweep by winning the 200m individual medley (2:39.57) and the 200m individual medley for 12-13 years old (2:45.62) respectively. In badminton, Manila’s Carmela Zamora claimed all events in the girls division. The 13-year-old second year high school student from St. Scholastica College beat Judy Arellano, 21-8, 21-5, in the singles before the fifth-ranked juniors player in the PBARs ranking system of the Philippine Badminton Association teamed up with Nenita Romero to beat Arevalo and Dizenzy Santos, 21-10, 21-5, in the girls doubles at The Zone in Makati. Marikina’s Haniel Cagampan took the boys singles title beating Kevin Fabro, 21-14, 21-14. Veteran Filipina campaigner Liza Clutario served strong notice of her title aspirations as she opened with a strong performance on the first day of the Bowling World Cup at the Northcliff Bowling Centre in Johannesburg, South Africa on Thursday. Clutario, who struggled in a disappointing stint in the Southeast Asian Games bowling event in Jakarta, rediscovered her old, deadly form when she registered 1124 pin falls in the first of the four five-game matches of the qualifying round. Clutario averaged 224.80 pin falls, capped by a high of 256 in one of the first five games, to finish the day in third place. She currently trails only leader Mercedes Perez de la Losa of Argentina and defending champion Aumi Guerra of the Dominican Republic. De la Losa posted 1157, followed by Aumi with 1145. The day’s highest output in a single game was established by Sandra Anderson of Sweden, who is currently running in eighth spot after carding 1075. Only the top 24 players at the end of the qualifying round will advance to the quarterfinal round. They will be reduced to the last eight going to the semis. Garry Santiago captured half of the six gold medals at stake in the throwing events in athletics to emerge as the first triple gold medalist in the National Capital Region qualifying leg of the 2011 Batang Pinoy. The 15-year-old Santiago claimed the gold medals in boys discus throw after tallying a 35.29m mark while also dominating the javelin throw event with a 47.74m output. He romped to his third gold medal in the competition in the shot put with a throw of 13.99m. Garry’s younger sister Stephanie also made an impact in athletics by bagging two gold medals in the throwing events held at the Philsports field in Pasig City. Stephanie threw 25.32m in the girls discus and hoisting 8.59m in the shot put although she only finished third in the javelin throw. In archery at the Rizal Memorial Baseball Stadium, Bianca Roxas-Chua Gotuaco nabbed her second gold medal in archery. The 14-year-old Gotuaco beat Caitlin Miciane, 3-0, to grab the gold in the girls individual honor to follow up her FITA double 18m individual event title she won last Tuesday. Gotuaco, a first year high school for International School-Manila, had competed in the United States Games but was also a campaigner in the Palarong Pambansa. Meanwhile, Quezon City romped to five gold medals in swimming held at the Makati Aquatics Center. Aaron Ho made it a double gold performance winning the boys 200m freestyle (2:20.60) and the boys 200m medley relay (2:02.37). The girls team also took the gold in the 200m medley relay with a clocking of 2:17.62, Jeremy Lim wrested the boys 14-15 200m freestyle with a time of 2:12.53, and Collen Limsui claimed the girls 200m freestyle checking in at 2:12.53.